While surgery is generally the most effective treatment option for a range of abdominal and other conditions, traditional open surgery with a large incision has its drawbacks – pain, trauma, long recovery time and risk of infection. Fortunately, less invasive options are available to many patients facing surgery. The most common of these is laparoscopic surgery, in which smaller incisions are used. While laparoscopy is effective for many routine procedures, it has inherent limitations when more intricate and complex surgery is required. 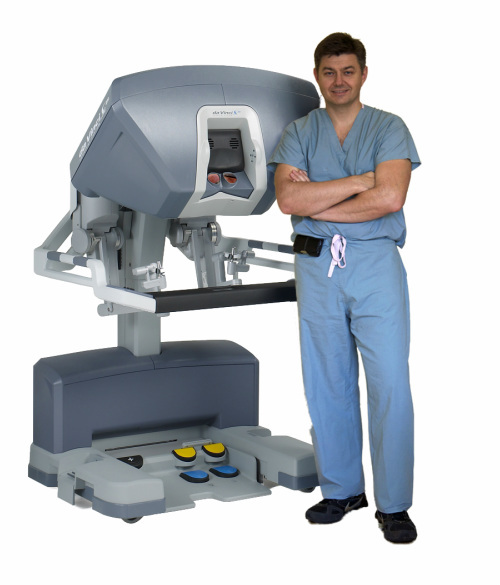 Jacobsen G, Berger R, Horgan S. The role of robotic surgery in morbid obesity.J Laparoendosc Adv Surg Tech A. 2003 Aug;13(4):279-83. Review. While clinical studies support the effectiveness of the da Vinci® System when used in minimally invasive surgery, individual results may vary. Surgery with the da VinciSurgical System may not be appropriate for every individual. Always ask your doctor about all treatment options, as well as their risks and benefits.